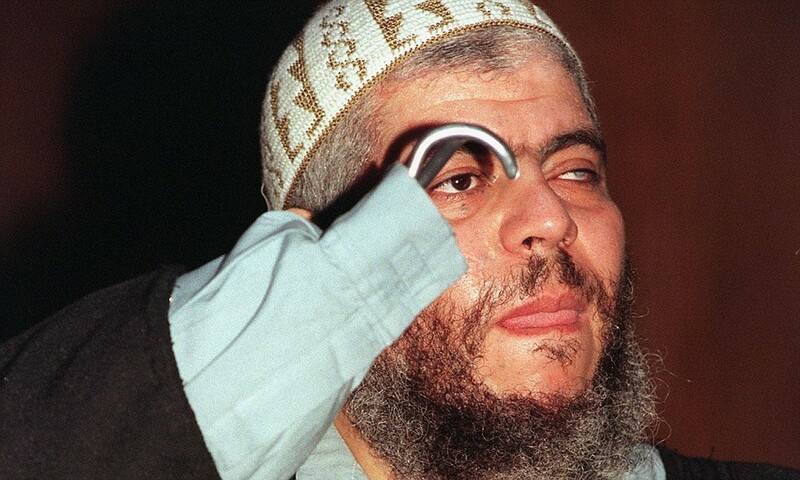 JNN 20 May 2014 New York : A jury found Egyptian-born cleric Abu Hamza Al-Masri guilty of 11 terrorism related charges Monday afternoon in a New York City courtroom, paving the way for a potential life sentence. When Mostafa was finally brought to New York, prosecutors began preparing for a high-profile terrorism case in which they hoped to show that the cleric had helped plan the 1998 kidnapping of American tourists and others in Yemen, and tried to help set up a terrorist training camp in Oregon; Mostafa denied the allegations up until this week’s conviction. On Monday, CNN reported that Mostafa accused prosecutors of using “pay-as-you-go witnesses” and a “cut-and-paste” approach in court in order to ensure a guilty verdict. “The deliberations confirmed our fears they would focus on words and ideas rather than the evidence,”defense attorney Jeremy Schneider said after the verdict was announced. Nevertheless, the United States attorney who prosecuted the accused terrorist celebrated this week’s conviction. Mostafa faces a maximum of life in prison when he is sentenced later this year in September . Hamza was born in Alexandria, Egypt, as Mustafa Kamel Mustafa in 1958, the son of a middle-class army officer. In 1979, he entered Britain on a student visa . His initial reaction to life in Britain was to describe it as “a paradise, where you could do anything you wanted”. He studied civil engineering at Brighton Polytechnic College. In the early 1990s, Hamza lived in Bosnia under another name, and fought alongside Bosniaks against Serbs and Croats during the Bosnian War. Hamza, who has one eye and no hands, says he lost them fighting Soviet forces in Afghanistan. CNN reported they were “injuries he says he sustained while tackling a landmine in Afghanistan.” Among several accounts that take issue with Hamza’s story, BBC security correspondent Gordon Corera’s introduction to Omar Nasiri’s memoir Inside the Jihad: My Life with Al Qaeda says Hamza “boosted his credibility” with rumors he sustained the injuries fighting jihad; also that Nasiri knew they resulted from “an accident during experiments in a training camp”, and Hamza asked Nasiri “to keep this secret in order to avoid undermining his reputation.” However, in his trial in the United States, Hamza stated that his injuries occurred whilst working with explosives with the Pakistani military in Lahore . This entry was posted in AFRICA, America, United States and tagged Abu Hamza, Abu Hamza al Masri, Britain, Egyptian, Mostafa Kamel, Mustafa Kamal Mustafa, New York, Suleiman Abu Ghayth, terrorist training camp, Wahabi Cleric. Bookmark the permalink. by hanging him . Allah prescribes capital punishment for Terrorism .